It’s hot outside, so cool off your kids off after school with a super fun and seasonal frozen drink. 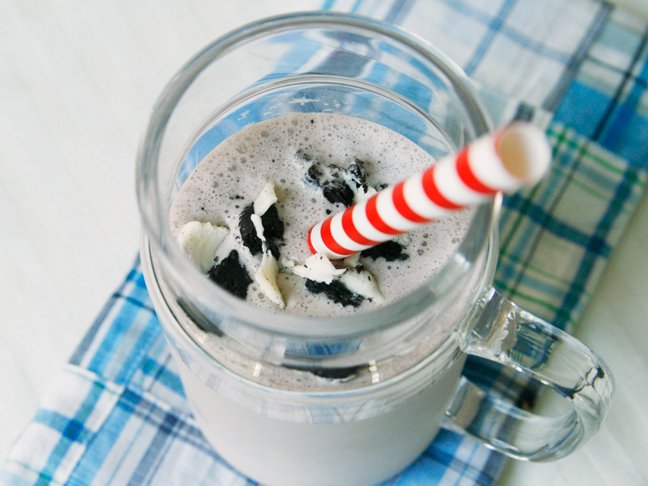 The kids will love when you pour them a glass of this fruity, cookie-dotted strawberry cookies and cream milkshake. 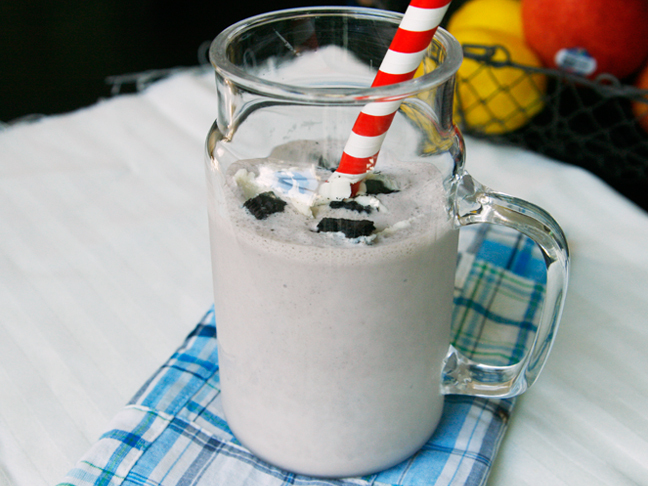 This creamy & refreshing shake will be an insta-hit with the kiddos! 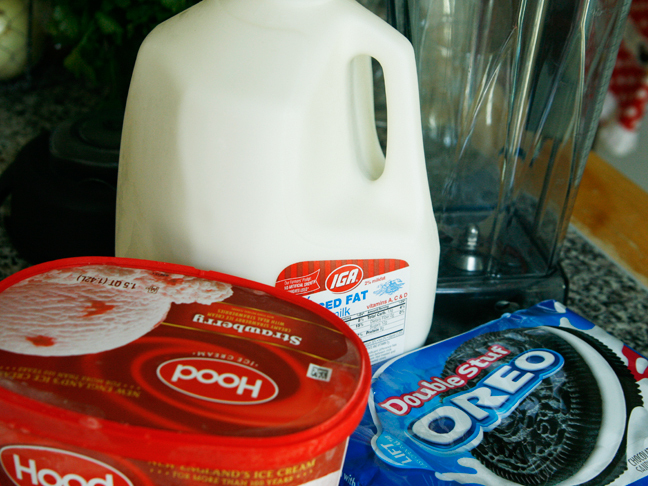 Step 1: Add the milk, ice cream, and cookies to the pitcher of a blender. 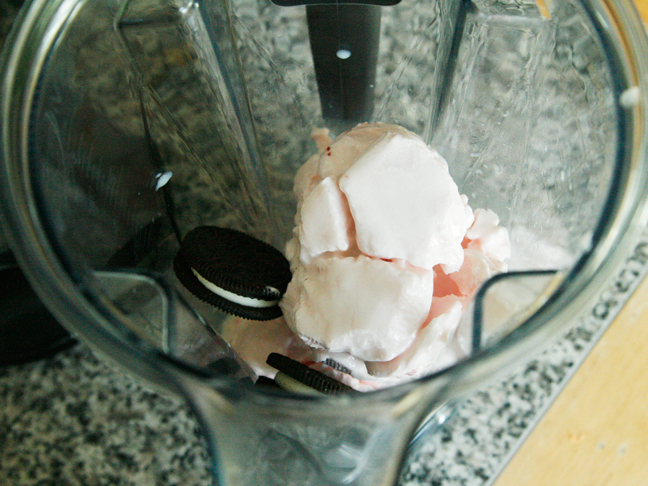 Step 2: Blend until smooth, about 30 seconds. Step 3: Pour into two glasses. Enjoy!